Last Sunday Jonas Grey ran for 201 yards and four touchdowns against the Indianapolis Colts. He landed on the cover of Sports Illustrated and became one of the more unlikely stories of the 2014 NFL season. On Sunday against the Detroit Lions, Grey didn’t play a single snap. He was benched by coach Bill Belichick after oversleeping and showing up late to the team’s facility on Friday morning. A source told ESPN’s Mike Reiss that Grey’s phone died (“alarm set on phone, phone battery dies overnight, alarm doesn’t go off at scheduled time.”). 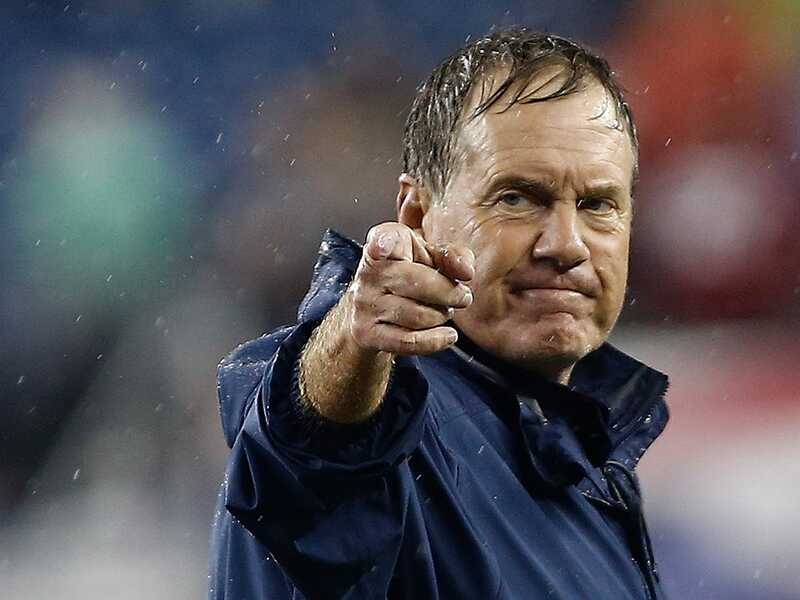 Belichick sent Grey home, but he came back to the facility later in the day to apologise, according to the Boston Herald. Belichick, one of the league’s most notorious curmudgeons, didn’t take kindly to Grey’s lateness. Shane Vereen started at running back and played 62 snaps. LeGarrette Blount played 17 snaps. He had 78 yards and two touchdowns. Blount signed with the Patriots this week after the Steelers cut him for leaving a Monday Night Football game before it was over.